Sing karaoke like in the Philippines. Filipinos are a singing people. Karaoke is big and it can be sung at the most peculiar places (how about karaoke on the bus or karaoke by the pool?). It goes without saying that any Filipino home that can afford it will have their own karaoke-machine. 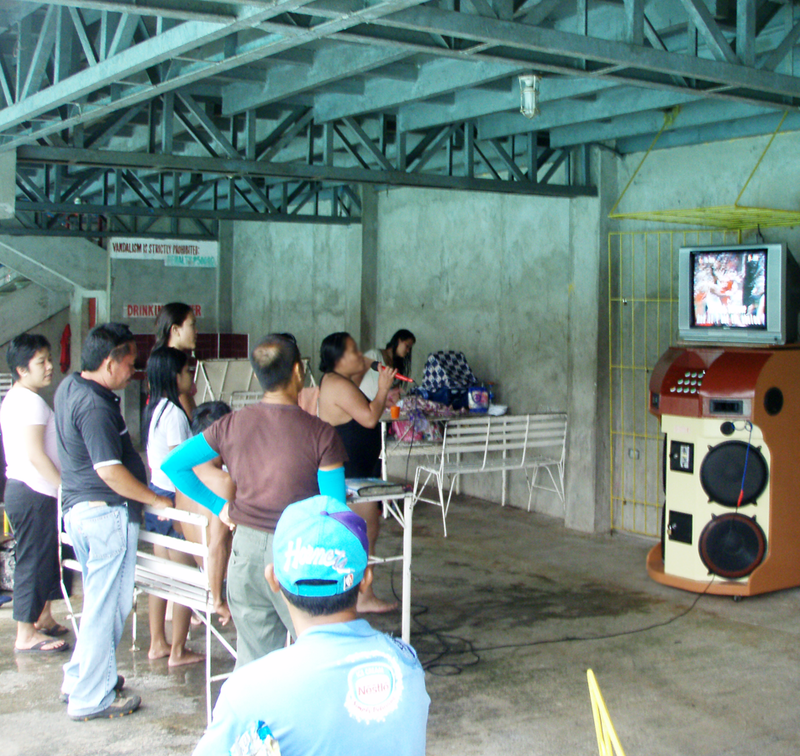 The model regarded as the premium choice for home use is Grande Videoke (previously Wow! Videoke) and we’re not talking about a DVD-disc or some Singstar, we’re looking at a fully featured karaoke machine that comes pre-loaded with thousands of songs and the option to buy even more songs as you go. A minus from a Swedish perspective is that there are only English and Tagalog songs (and a few others in various Filipino languages). As a Swede you will simply have to just ignore about half of the songs but there are still thousands of nuggets to chose from. The latest models carries more than 6000 songs to start with. Should you get tired of your songs or wants to update your song library there are always new additions with hundreds of songs issued. The song chips are called Music Video Packs (MVP) since there is not just music but also images and movie content that is displayed with the songs. For the newer models there are Song Transfer Packs (STP) instead since you transfer data from the chip to your karaoke machine and won’t have to keep the chip in the machine. A chip cost about 69 US dollars and if you buy more you will be given a discount. Since shipping and customs make a rather large part of the cost it can be wise to get more than one chip at a time. Recently two song chips was 1165 SEK including shipping to Sweden. Then there is Swedish VAT (moms) and customs added which was an additional SEK 359. At this price you get two new chips with 300 songs each. The shipping is less than a week from order and comes to your door with UPS. The downside is that you have to be at home to receive your new chips but usually you can put a note on the door that you authorize them to leave the parcel at your door or in your mailbox.